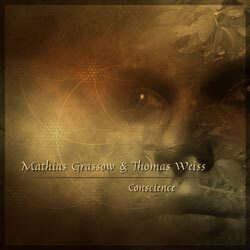 While Mathias Grassow has been creating ambient music since about five years before he was born, Thomas Weiss is a newcomer to the ambient community. Conscience, their first collaboration, is about as close to perfect ambient minimalism as it gets. Mathias has been the ultimate drone master for years and he continues to perfect his craft. This disc starts with a low drone that envelops listeners with its overtone qualities and subtle pitch changes. Mathias and Thomas build layers of atmospheres upon and from this drone. The atmospheres are gentle, cerebral and serene and they control the pace – slow, so slow as to approach standing still. That is the unique characteristic of this set. The music evolves slowly and deliberately. It seems to hang forever in listeners’ neuropathways as it triggers serotonin and neuroprenephrin activity. On the surface, the overtones have no substance or purpose. As they enter the biosonic feedback device (read: brain), they define themselves anew and allow listeners to float at will. For such a low-key soundscape, this CD evokes and promotes lots of activity – all of intangible and unquantifiable. While it might be impossible to dance to this music, it is just as impossible to prevent one’s insides from dancing to it. The music infects the mind, the heart, the spirit and the soul with its positive energy. With this release, Thomas leaps to the forefront of the ambient community. Association with a master qualifies as a major endorsement. Mathias, with more than 100 releases in his discography, qualifies as a master. This CD is as good an introduction as any for his music. It comes with the highest recommendation. Liz Story is an absolute legend and pioneer in the new age music community. She was one of Windham Hill's first female recording artists her staying power speaks for itself. (She released her first album in 1983.) Night Sky Essays is a set of 12 tone poems, each one representing a zodiac sign – hence they are essays to the night sky. The best way to describe this CD is to call it "solo piano music for people who do not like solo piano music". (The quotes are mine. I count myself among those folks. I usually find it very difficult to relate to the solo piano. However, I understand and like this CD.) Liz has a unique style on the piano. Her touch is deft, allowing her to reflect many different moods. While the soundscapes are completely acoustic, Liz is able to generate atmospheres that do, indeed, suggest night skies and their mystery. Indeed, it seems that Liz is exploring the mysteries of the zodiac, perhaps even its mysticism. Such a task is not very difficult with processors, sound effects and/or electronics. It is a bit more difficult with an array of acoustic instruments on hand. Suggesting such imagery with only an acoustic piano is a rare accomplishment, indeed. There might be a handful of artists capable of doing so. Liz is one of them. This is a brilliant CD! Liz is a legendary performer and this release will serve to deepen and enhance that reputation – even to folks who do not like solo piano music. 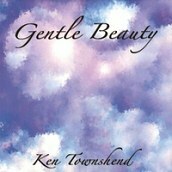 “Gentle Beauty” is the second release of healing music by keyboardist Ken Townshend. Aptly titled, this music is in the moment and has no hard edges anywhere. More ambient than melodic, the music creates a peaceful mood that invites a slower, calmer pace both physically and mentally. Several tracks feature the piano with keyboard accompaniment, and some have an Asian influence. Quoting Ken Townshend: “A quiet sacred space, and a feeling of pure peace and acceptance. An infinite mind, body and spirit. Authentic play and divine creativity is what ‘Gentle Beauty’ is about.” Continuing: “It celebrates music through the feeling of an innocent child. It has Lucid feelings that are deep, and gentle but not emotional. Let gentle compassion embrace and hug you, just be and feel. Tell me your meaning. I have no meaning except to allow that infinite sacred space to manifest through the creative expression of music.” This would be a perfect CD for meditation, massage, unwinding, to go to sleep to, or for creating a very peaceful ambiance. Listening to it actively takes you away from the stresses of everyday life and slows down that sense of urgency to run, run, run. It is a very effective aural tranquilizer! “Graceful Soft Child” opens the CD with warmth, joy, and innocence that floats on a cloud or a lazy river. “Feeling Open Flow” is a favorite. Mostly piano, arpeggios explore the piano, soothing and calming as they roam. “Feeling Deep Within Beauty” is also mostly piano with some keyboard washes. At over ten minutes, this piece evolves leisurely and organically, leaving lots of open spaces between the notes. It is very easy to lose yourself in this music - so free and completely at ease. “Peaceful Healing” reminds me a bit of George Skaroulis - very open and gentle. “Sunset” is a shimmering guitar piece with stringed accompaniment and floating, ethereal sounds that paint a musical picture of the magic and serenity of a sunset. “Symphonic Universe” is another favorite with its feeling of vast openness and space. Angelic strings, keyboard, light percussion, guitar, and piano make up this “symphony” and float you away on a tranquil dream. “Gentle Beauty” is a quiet and fascinating inner journey and a welcome respite from the noise and negativity that zap so much of our energy. It is available from cdbaby.com and amazon.com. Recommended. Current is the moniker of musician Robert Solheim. The last time I heard one of his albums was a few years back when the enjoyable Communion was released, so it's good to catch up with what he's doing. This new work called The Dream Cabinet is a kind of concept album based on the idea of a dreaming mind seem from inside and outside. Without a doubt the best track on the album is the opener “A Cotton Pickers Dream”. The lonely tones of a harmonica set the scene as somewhere in the midwest of America. Warm fat pads complement the harmonica as bassy cantering notes suggest a feeling of movement. A rhythmic tune then springs up with percussion and shimmying refrains like highly processed harmonica passing this way and that across the soundfield. Lots of melody and affecting pads make this a brilliant piece which had me reaching for the repeat button. Current employs several styles on the album. In “Tin Man” there's a bassy beat coupled with all manner of sounds and rhythm instilling a mechanical feeling. Then in “Searching for Planet Klingklang” we're into a trippy atmosphere of quickly brushing percussion, old sounding synth refrains, and various effects. It's difficult not to want to move your body in time with the music when this piece is playing. One of the more relaxed tracks is “Meditation”. A repeating sequence reminiscent of a passage on Jarre's Oxygene sets a background for a slow thrumming rhythm and vocally edged space washes. The rhythm then picks up in amplitude but retains an easygoing pace. So as you can see there's plenty going on in each of the discrete tracks but they're all held together by the theme of dreams. 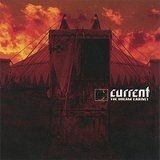 While it gets a tad trippy at times, Current has shyed away from exploring dark and disturbing dreams. Overall The Dream Cabinet is a quality album containing some great tunes that are well crafted sonically and musically. It should appeal widely to EM and ambient fans.